Best Sports Moments of Your Nation? Mostly agree except for Roland Garros, i include the title of thw World Cup of 1978 of football, another epic moment was the victory over Serbia with the "last second incredible two points of Manu Ginobilli. I don't want to make a post that is only football and basketball. But, regardless, for me RG was more important than 78. Its sad but you are rigth, May be Monzon can be too. 5) 2010 Winter Olympics: Alex Bilodeau winning Canada's first ever Olympic gold medal on home soil, after failing to win any in 1976 and 1988. 3) Donovan Bailey wins the 100m gold medal in Atlanta 1996, breaking the World Record in the process. 2) Women's hockey gold in 2002. The officiating was horrible (against the Canadians) and the Americans had the Canadian flag on the floor of their dressing room. The Canadians took the last laugh though by winning the gold and starting a streak of four straight gold medals! 1) Olympic hockey gold in 2010 for the men, breaking the record for the most gold medals by a country at a single Winter Olympics. SVK won in Poland in the very last match of the World Cup 2010 qualification in absolutely crazy conditions thanks a unbelievable own goal of the Poles to reach the first ever qualification for the World Cup in history and first ever any Major Tournament participation except the Sydney 2000 Olympics for our football since the independence. Back to Football and the 2010 World Cup, Underestimated and unknown debutant Slovakia shocked and eliminated the reigning world champions Italy in the last pool match to reach a epic and absolutely unexpected second phase at our first major tournament participation. 4. Roland Garros 2004 - 3 out of 4 semifinalists were . Also it had dramatic final between Gaudio and Coria who didn't like each other that much. Gaudio winning was the ultimate underdog story since he was always seen as a guy that couldn't possibly win a major title, being a complete nutjob like he was. Is that the one where eternal underdog Martin Verkerk reached the final? I believe that was the year before. For everyone not caring about the alpine skiing world cup, no, having skiers from only one nation from the first to the 9th place is not ordinary. A display of dominance which will probably never be repeated. 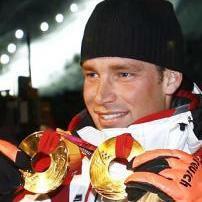 7 gold medals for Austria in one world championship is something I probably won't ever see again. Tbf the medal count is partly so high because there were both two team events for the ski jumpers and the nordic combined and Austria won all 4 of these events. But anyway, this was a mightily impressive world championship, with gold in all 5 ski jumping competitions (plus silver in the two men's single events), two gold medals for the nordic combined relay (which tasted even sweeter because they were won in close sprints against Germany) and a bronze medal for Felix Gottwald in the large hill event. Austria didn't even achieve anything big by winning this match but still this is probably the most legendary moment in Austria's sport history just because we could spoil our big neighbors world cup. I honestly have no idea why this game even got such a legendary status but Austrians still can't stop talking about how they kicked Germany out of the World Cup in the most famous game in Austrias football history.